Click here to view a list of previous screening events. 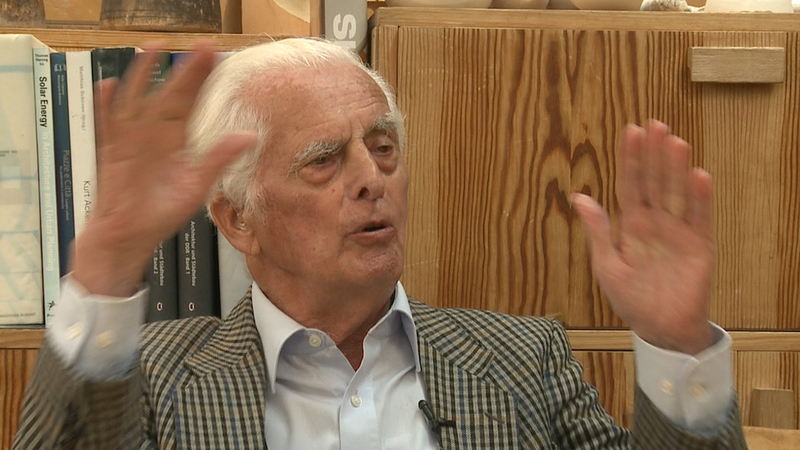 Frei Otto: Spanning the Future is a documentary about the incredible life and work of Frei Otto. As an architect and engineer he laid the foundation for contemporary lightweight architecture, and his ideas are still awe inspiring decades after he revealed them. This fact was cemented when he was named the 2015 Laureate of the Pritzker Architecture Prize. In one of the final interviews given before his passing, Frei Otto tells how coming of age in the years surrounding WWII influenced his work in tensile architecture. Along with Buckminster "Bucky" Fuller, Walter Gropius, Frank Lloyd Wright, and Richard Neutra, Frei Otto was a visionary. His approach to form finding to solve structural as well as social problems is the foundation for modern architecture. Frei Otto: Spanning the Future takes architecture fans on a journey through a history of architecture that inspires the world of tomorrow. This structure amazed onlookers and showed that tensile structures were an emerging architectural design medium. Sails at the Federal Garden Exhibition at Kassel, 1955, where Frei Otto first gained notoriety. Interviewed for the film in 2012. Demonstrating inverse modeling at the IL institute at the University of Stuttgart. Drawings for the 1955 Federal Garden Exhibition at Kassel. Model for the Munich Olympic Stadium. Discussing plans for the Japanese Pavilion for Expo 2000 in Hannover. Legendary American architect, futurist, and friend of Frei Otto. The finished stadium for the 1972 Munich Olympics. Model for the aviary at the Munich Zoo. Talking about Frei Otto’s continued influence beyond architecture and engineering.